Sheyna has teamed up with Fashionhogger to offer a fantastic discount on their design-your-own jewellery, which has been featured on Oprah! So, Marshalls opened in Canada! Finally! 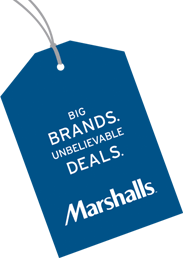 We have Winners which is the same, but it's nice to have a real Marshalls, which was acquired by T.J Maxx in 1995. No, not Chiquita bananas..although I could use one right about now. It's the After 5pm sale, today ONLY!